Latent tuberculosis infection (LTBI) is often diagnosed by the tuberculin skin test (TST). The latter has several limitations with regard to its sensitivity and specificity. It may be positive in people with prior bacille Calmette-Guιrin (BCG) vaccination or exposure to nontuberculous mycobacteria. False negative TST results frequently occur in patients with impaired T-cell function. Therefore TST results have to be interpreted taking into consideration the pretest risk of TB infection or reactivation. Recently, interferon gamma release assays (IGRA) were introduced for the diagnosis of LTBI. These include the T-SPOT-TB and the QuantiFERON® -TB Gold tests .These tests measure interferon gamma released in response to T-cell stimulation by specific Mycobacterium tuberculosis antigens. These tests have been shown to be more specific than the TST as they are not affected by BCG vaccination. Their sensitivity was similar to that of the TST and in some studies they correlated better with the degree of exposure. In immune-compromised patients their sensitivity was better than that of the TST. IGRA tests were shown to have better predictive value for the development of active disease among individuals with LTBI. These tests are expensive. Their most cost-effective utilization is as confirmatory tests in patients with positive TST results, particularly in areas with high rates of BCG vaccination. Objective:To evaluate the various etiologies of hemoptysis. Materials and Methods: Four hundred and seventy-six consecutive patients of hemoptysis who were admitted to the Department of Pulmonary Medicine between January 1996 and December 2002 were included in this study. Hemoptysis was categorized as mild (< 100 ml/day), moderate (100-400 ml/day), and massive (>400 ml/day). We also categorized the patients according to the primary etiology of the hemoptysis. Results:Of the 476 patients with hemoptysis included in this study, 352 were males and 124 were females. Pulmonary tuberculosis was the leading cause of hemoptysis. There were 377 (79.2%) patients in the pulmonary tuberculosis group, 25 (5.7%) in the neoplasm group, 19 (4.0%) in the chronic bronchitis group, 18 (3.8%) in the bronchiectasis group, and 35 (7.3%) patients with hemoptysis due to other causes. About one-third of the patients with hemoptysis had been misdiagnosed by the referring doctor as having active pulmonary tuberculosis. Conclusion: Although pulmonary tuberculosis is the most important cause of hemoptysis in India, it may also occur due to a variety of other causes. Awareness should be increased among general physicians about the various etiologies of hemoptysis in pulmonary tuberculosis patients. Background:Pulmonary embolism (PE) is an important cause of in-hospital mortality. Many patients are admitted to the intensive care unit (ICU) either due to hemodynamic instability or severe hypoxemia. Few reports have addressed the outcome of patients with PE; however, none were from ICUs in the Middle East. Objectives:To describe the demographics, clinical presentation, risk factors and outcome of patients with PE admitted to the medical ICU and to identify possible factors associated with poor prognosis. Materials and Methods:Data were collected retrospectively by reviewing the records of patients admitted to the medical ICU with primary diagnosis of PE between January 2001 and June 2007. 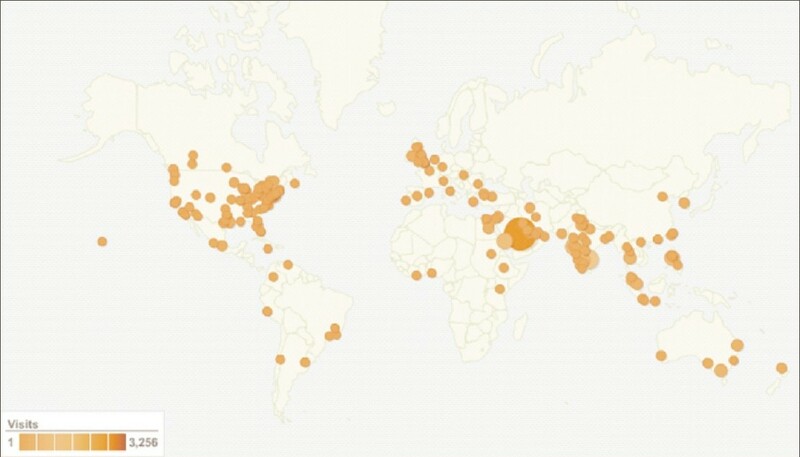 Demographic, clinical, radiological and therapeutic data were collected on admission to ICU. Results: Fifty-six patients (43% females) with PE were admitted to the ICU during the study period. Their mean age was 40.6 ± 10.6 years. Seven patients (12.5%) had massive PE with hemodynamic instability and 15 (26.8%) had submassive PE. The remaining patients were admitted due to severe hypoxemia. Recent surgery followed by obesity were the most common risk factors (55.4 and 28.6%, respectively). Four patients with massive PE received thrombolysis because the remaining three had absolute contraindications. Fatal gastrointestinal bleeding occurred in one patient post thrombolysis. Additionally, two patients with massive PE and five with submassive PE died within 72 h of admission to the ICU, resulting in an overall mortality rate of 14%. Nonsurvivors were older and had a higher prevalence of immobility and cerebrovascular diseases compared with survivors. Conclusions: The mortality rate of patients with PE admitted to the ICU in our center was comparable to other published studies. Older age, immobility as well as coexistent cerebrovascular diseases were associated with a worse outcome. Background:Unplanned extubation is quite common in intensive care unit (ICU) patients receiving mechanical ventilatory support. The present study aimed to investigate the effectiveness of noninvasive positive pressure ventilation (NPPV) in patients with unplanned extubation. Materials and Methods: A total of 15 patients (12 male, age: 57 ± 24 years, APACHE II score: 19 ± 7) monitored at the medical ICU during the year 2004 who developed unplanned extubation were included in the study. NPPV was tried in all of them following unplanned extubation. Indications for admission to the ICU were as follows: nine patients with pneumonia, three with status epilepticus, one with gastrointestinal bleeding, one with cardiogenic pulmonary edema and one with diffuse alveolar bleeding. Results:Eleven of the patients (74%) were at the weaning period at the time of unplanned extubation. Among these 11 patients, NPPV was successful in 10 (91%) and only one (9%) was reintubated due to the failure of NPPV. The remaining four patients (26%) had pneumonia and none of them were at the weaning period at the time of extubation, but their requirement for mechanical ventilation was gradually decreasing. Unfortunately, an NPPV attempt for 6-8 h failed and these patients were reintubated. Conclusions:Patients with unplanned extubation before the weaning criteria are met should be intubated immediately. On the other hand, when extubation develops during the weaning period, NPPV may be an alternative. The present study was conducted with a small number of patients, and larger studies on the effectiveness of NPPV in unplanned extubation are warranted for firm conclusions. Background:Bronchiectasis has been defined as the abnormal and permanent dilation of the bronchi. It is still an important problem in many developing countries. Aim:The aim of this study was to identify the chacteristics and underlying etiology of children followed with the diagnosis of noncystic fibrosis bronchiectasis. Materials and Methods:Children with bronchiectasis confirmed with high-resolution computed tomography were enrolled into the study. 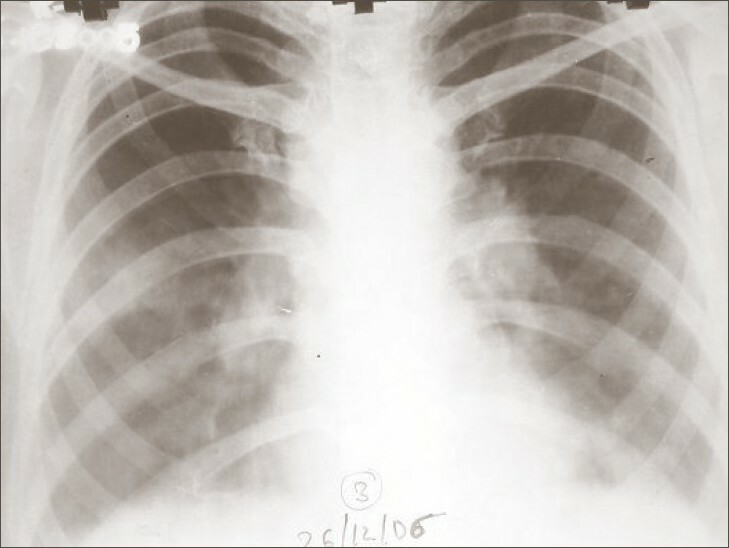 The data of the patients, including symptoms of the disease, age at the onset of symptoms, findings of physical examination, labrotory investigations performed in order to identify the etiology of bronchiectasis, etiology of bronchiectasis if found, radiologic findings and treatment modalities were noted. Results: Sixty-six children between 1 and 17 years were included in the study retrospectively. Forty-four of them were males (66.7%) and 22 (33.3%) were females. The most common presenting symptoms were cough (100%) and sputum expectoration (50%). An underlying etiology was identified in 44 (66.7%) of the study subjects. The four most common underlying causes were found as infections (21.2%), asthma (16.7%), aspiration syndromes and/or gastroesophageal reflux disease (9.1%) and immunodeficiency syndromes (7.6%), respectively. Conclusion:Identifying an underlying etiology will have a significant effect on the management of noncystic fibrosis bronchiectasis. Defining the cause of bronchiectasis may also decrease its incidence, progression and complications. Aim: To report on the causes of trauma, indexes of trauma, and mortality related to thoracic trauma in one region of Brazil. Materials and Methods: This prospective study was performed at the Regional Trauma Center in Sγo Josι do Rio Preto over a 1-year period, from 1 st July 2004 to 30 th June 2005. We included all patients attending the center's emergency room with thoracic trauma and an anatomic injury scale (AIS) ≥ 2. We collected data using a protocol completed on arrival in hospital utilizing the AIS. We studied the types of accidents as well as the mortality and the AIS scores. Prevalence rates were calculated and the paired t-test and logistic regression were employed for the statistical analysis. Results:There were a total of 373 casualties with AIS ≥ 2 and there were 45 (12%) deaths. The causes of thoracic trauma among the 373 casualties were as follows: 91 (24.4%) car crashes, 75 (20.1%) falls, 46 (12.3%) motorbike accidents, 40 (10.7%) stabbings, 22 (5.9%) accidents involving pedestrians, 21 (5.6%) bicycle accidents, 17 (4.6%) shootings, and 54 (14.5%) other types of accident. The severity of the injuries was classified according to the AIS: 224 (60%) were grade 2, 101 (27%) were grade 3, 27 (7.2%) were grade 4, 18 (4.9%) were grade 5, and 3 were (0.8%) grade 6. With respect to thoracic trauma, pedestrians involved in accidents and victims of shootings had mortality rates that were significantly higher than that of those involved in other types of accidents. Conclusion: Road accidents are the main cause of thoracic injury, with accidents involving pedestrians and shootings being associated with a greater death rate. Pleural effusion is considered to be a rare manifestation of pulmonary sarcoidosis, but hemorrhagic effusion secondary to it is a very uncommon clinical presentation. This case is reported due to the rare manifestation in pulmonary sarcoidosis presenting clinically as hemorrhagic pleural effusion.